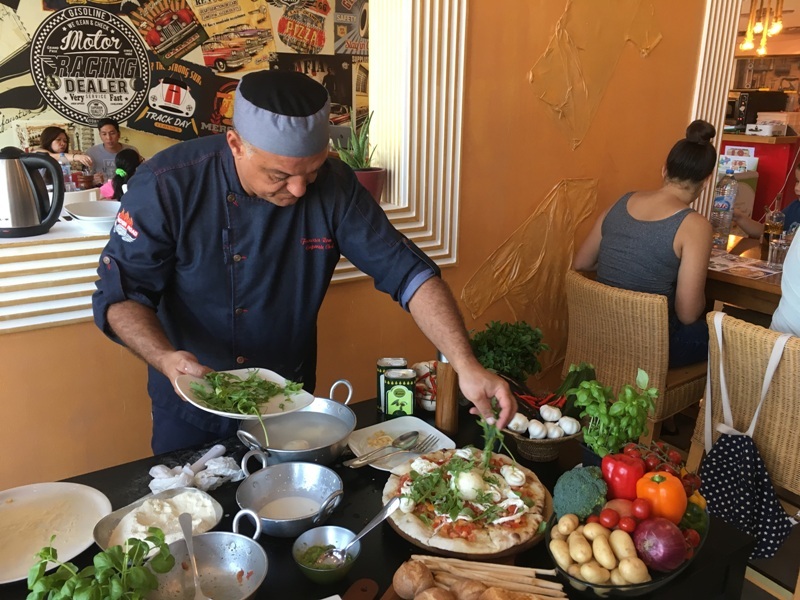 Considering Ras al-Kaimah is an emirate that’s still developing as a tourist destination, there is, remarkably, no shortage of places to eat. 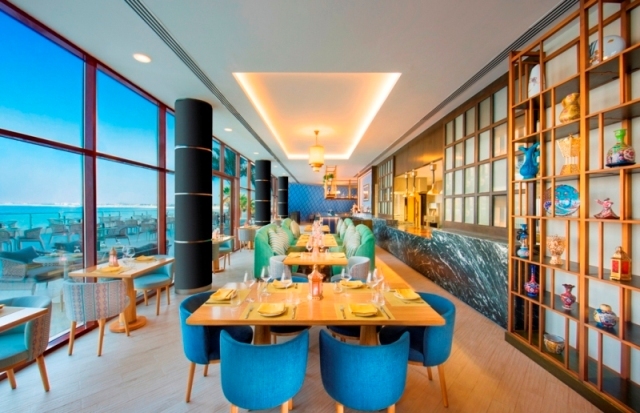 The luxury hotels around Marjan Island and along the coast offer dining options of course, but there are also some excellent local restaurants that are well worth trying too. You just have to know where to look! 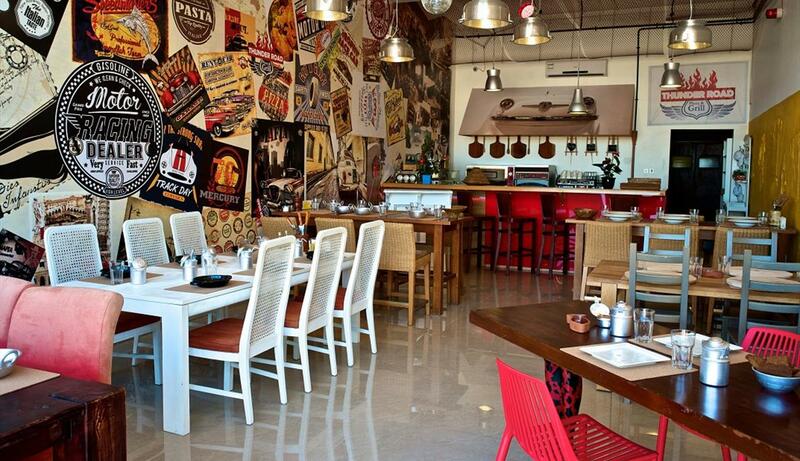 Here is my pick of the best restaurants in Ras al-Kaimah. 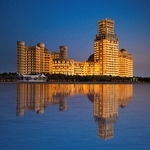 The Waldorf Astoria is without doubt the most iconic hotel property in RAK and high up on the 16th floor the food at Marjan borders on heavenly. This is middle eastern food, but not as you might know it, with menus created by Lebanese celebrity chef Joe Barza. Marjan’s interior is distinctly middle east chic; Arabic art by Sasan Nasernia sits alongside elegant contemporary furnishings that still manage to offer a nod to the restaurant’s Islamic heritage. 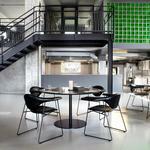 There is à la carte but the six set menus offer a wide selection of choices and they’re excellent value. I tried the Yakoot menu at 400 AED which included cold and hot mezzeh, a mixed grill main course and dessert. This was a feast of royal proportions. 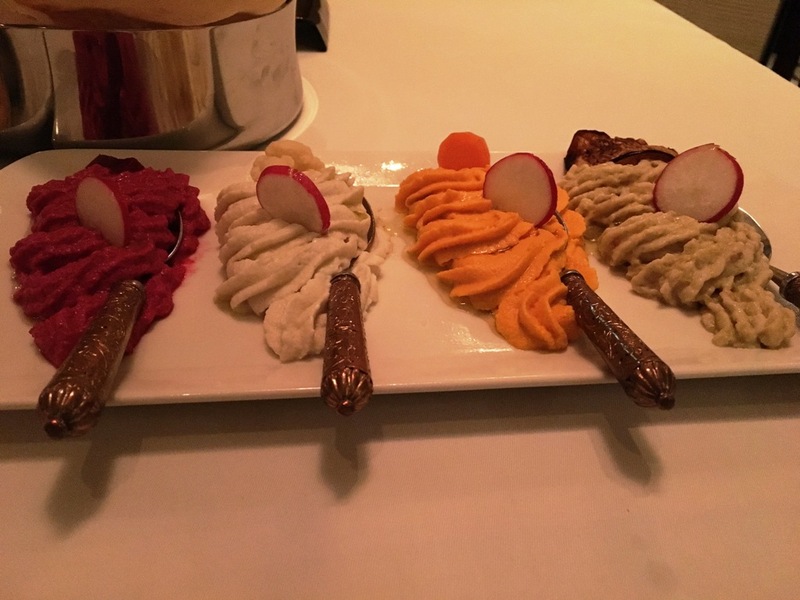 An outstanding cold mezzeh of fattoush, baba ganoush, moutabal and tabouleh was preceded by four delicate mounds of delightful hummus Al Marjan. The first mound was a delicious but traditional chick pea hummus. But then came the magic. The second was made with basil, the next from chilli paste and the third from blackberries no less. The hot mezzeh was equally impressive. 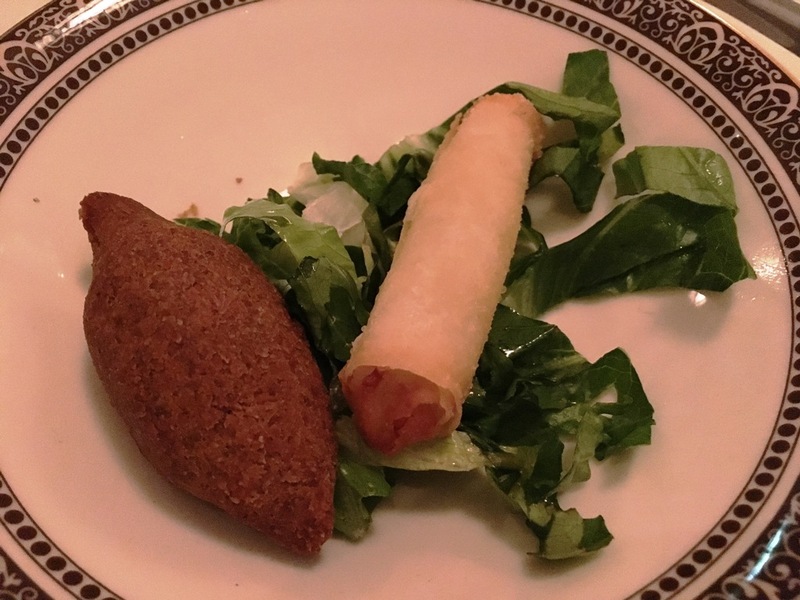 A delicate veal kibbah was accompanied by the Arabic version of a spring roll – flaky rakakat bil jibneh stuffed with cheese on a bed of lettuce. Then some batata bil kizbara; mouth-watering cubes of sautéed potato cooked in garlic, coriander and cherry tomatoes. 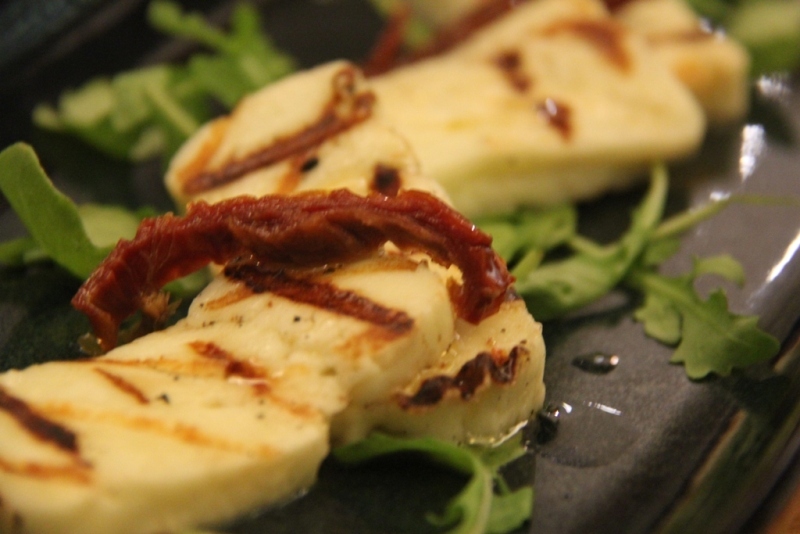 Finally, some grilled halloumi topped with a slice of eggplant. After such an epic start would the main event prove to be a disappointment? Not a chance. 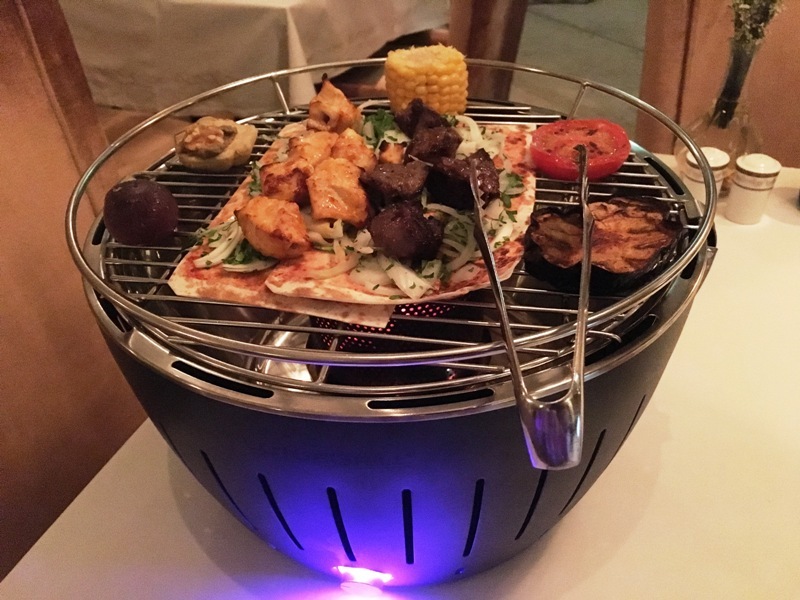 A table top electric barbecue materialised and was soon adorned with chunks of chicken, beef and lamb over Arab flatbread and onions. A support act of eggplant, corn on the cob and a slice of tomato did its best to compete, but it was a futile task. Just as I was coming up for air, a warm date cake with caramel and vanilla ice cream arrived accompanied by a platter of fresh fruit. 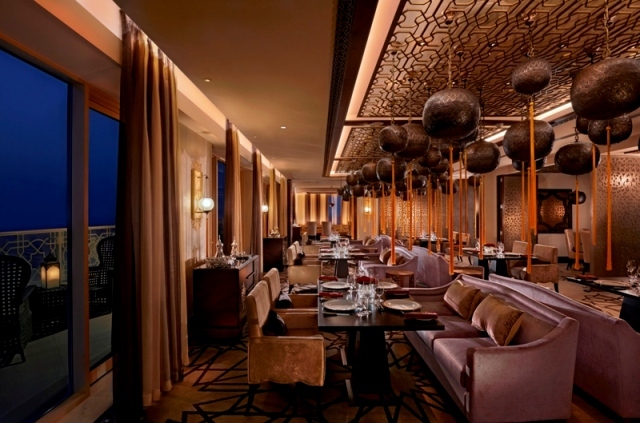 Marjan deserves its place at the top of the Waldorf Astoria. It is about as close to heaven as you will get in this life. The Al Hamra neighbourhood is where you’ll find RAKs jet-set party crowd on Marjan Island, a clutch of four small man-made islands just off the mainland. The DoubleTree was the first resort to open here; a giant of a property with over 700 rooms, 8 swimming pools and no less than 14 restaurants and bars. Meze is new, a Turkish and Lebanese restaurant with gifted chef Ufuk Ozan at the helm. “You can read the menu if you want, or you can just let me cook for you” he tells me in the way chefs do when what they really mean is please just sit back and enjoy the ride. “Sure, give me your best shot” I reply, and the challenge is set. Some Turkish favourites are out first; small platters of saffron hummus (30 AED) falafel with tahini sauce (25 AED) and creamy feta. 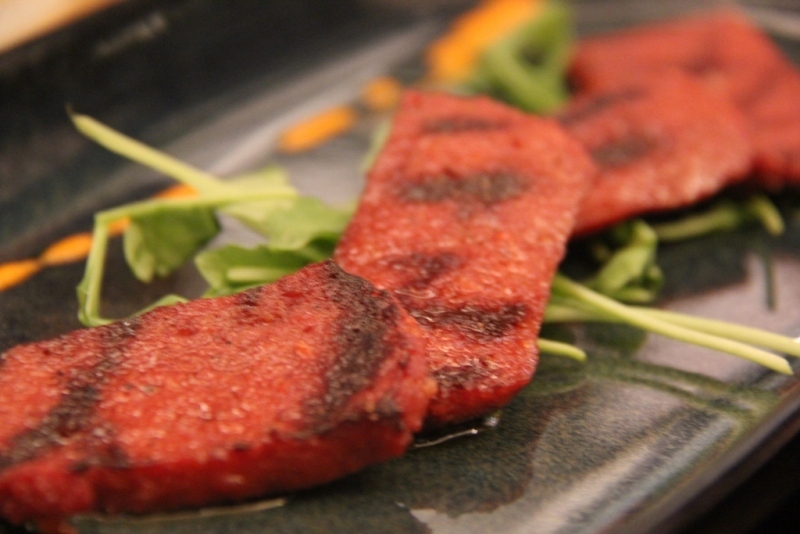 Some seriously good grilled halloumi with lemon drizzle on a bed of arugala (25 AED) is quickly followed by very tasty strips of spicy garlic sausage (45 AED. There’s a pause in proceedings and I take the opportunity to stroll out and join the outdoor diners on Meze’s wide terrace overlooking the Arabian Gulf. The twinkling lights of RAKs coastline point the way towards the towering Waldorf Astoria, embraced in a million light bulbs. 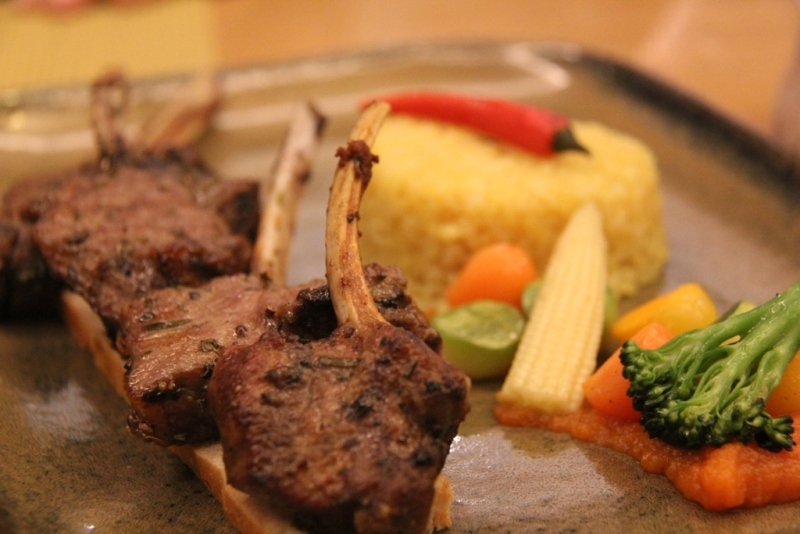 Back inside again, there are tender lamb cutlets (120 AED) patiently waiting in a thyme jus with pilao rice and steamed vegetables. 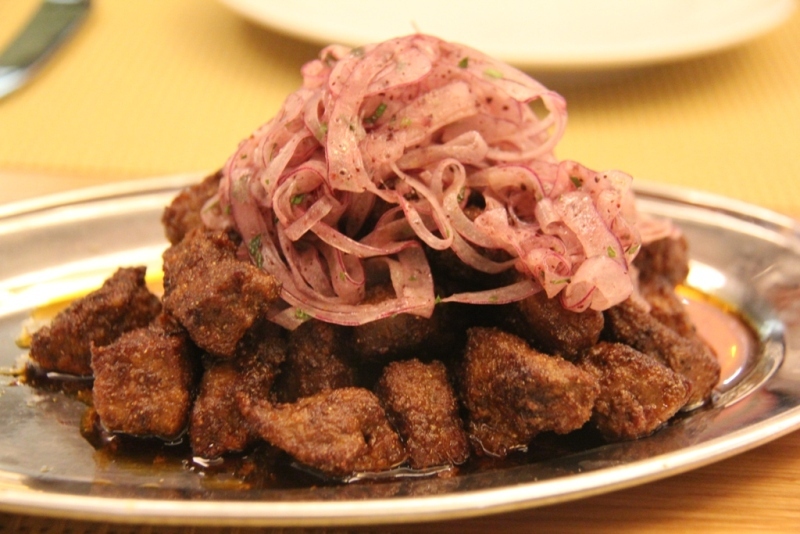 There’s also a rather generous portion of Albanian pan-fried lamb liver cubes topped with sumac onion (30 AED). One for the more selective palate perhaps but nevertheless a true taster of authentic ethnic cuisine. Ufuk is cooking down the home straight now and a selection of Turkish perfectly-flaky pastries form a sweet finale to an epic feast. 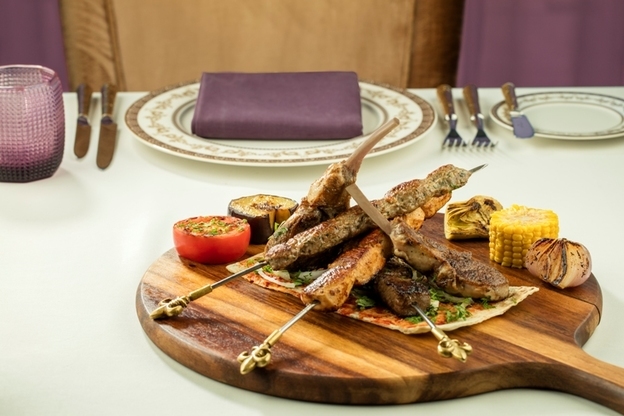 Meze is triumph if you are hankering for some wholly authentic Turkish flavours created with love and delivered with style. You might be think at first glance this is a run of the mill Italian pizzeria. It’s by the side of a dusty main road enroute to RAK City and you would drive straight by if you didn’t no any better. Then, a name like Thunder Road and images of bikers on the walls don’t necessarily bode well for a recommendation of a special dining experience. But this was a real surprise. A genuinely fantastic experience of some wonderful Campanian and Tuscan cuisine from founders Alessandro Tatulli and chef Francesco Romano. I learned later the biker in the photos was a much younger Allessandro driving the length of Route 66, so it all started to make sense. It’s the same for the pasta. Only fresh home-made pasta here. It really is a touch of home grown Italy right here in Ras al-Kaimah. I know this because Francesco demonstrated it all before my very eyes. “I’m making you my burrata salad first.” And he did. 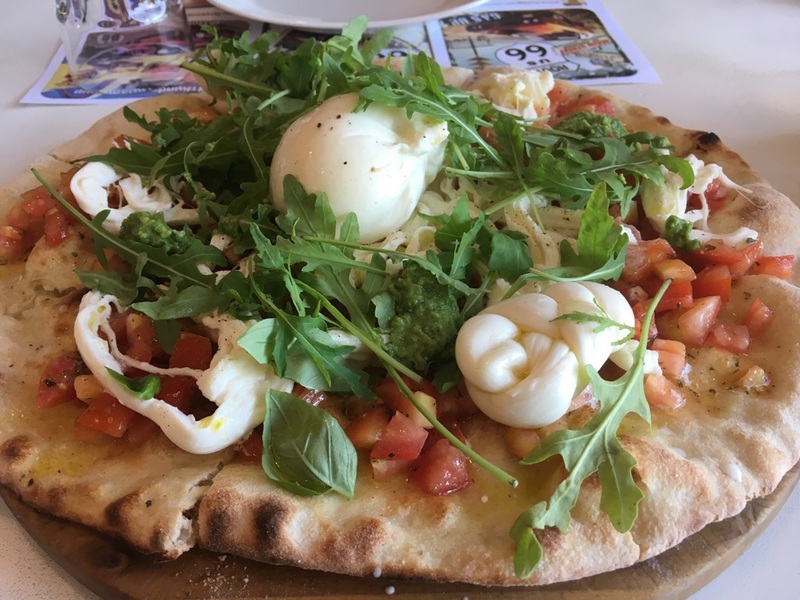 Melted fresh mozzarella in boiling water, added cream, rolled it into a giant ball and laid it on a bed of rucola surrounding it in organic tomatoes and olive oil (69 AED). Totally delicious on every level. 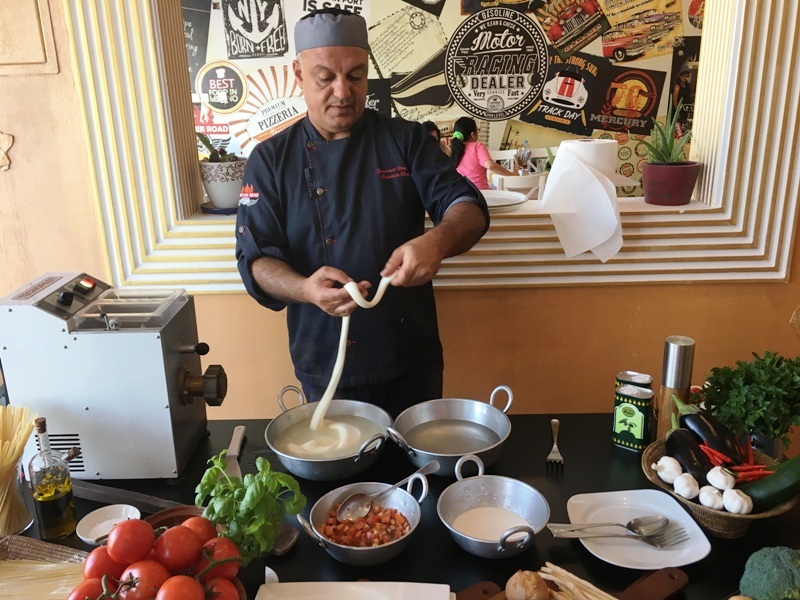 “Now focaccia stracciatella” he proudly announced and cooked up another a magical recipe using shredded mozzarella over fresh tomatoes and just-baked focaccia (69 AED). The grand finale was another simple piece of culinary magic; freshly rolled and spliced tagliatelle with a mouth-watering home-made pesto sauce (49 AED). It was no surprise to learn that the pizzas are hand-tossed thin crust. “Just like the back streets of Napoli.” Obviously. There are meat dishes and plenty of opportunities for gluten-free and vegetarians too; all prepared and put together in way only Italians seems to be able to do. Just remember if you want to feast on some delightfully authentic Italian regional dishes Thunder Road Pizza and Grill will more than compensate your hunger pangs. Better still, ask Francesco to do a cookery demonstration at the same time. It would be well worth it.